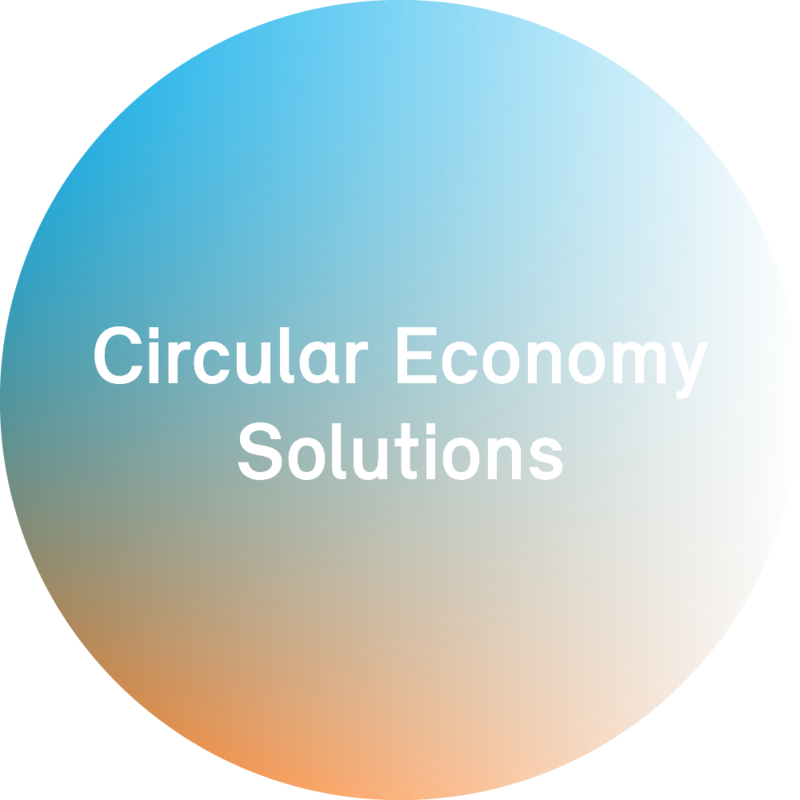 Borealis, a leading provider of innovative solutions in the fields of polyolefins, base chemicals and fertilizers, announces a new round of support to leading social organisations in the UAE. Support will be made available through the Borealis Social Fund, which was founded in 2008 with the explicit aim of enhancing the social welfare of the communities in which Borealis operates. AED 1 million each has been presented to the Emirates Foundation of Youth Development, the UAE Disabled Sports Federation, and the Emirates National Schools. Borealis Chief Executive Mark Garrett handed over cheques to the three organisations representatives at a ceremony held in Abu Dhabi on 1 November 2016. "We are pleased to continue our support for the valuable work done by these organisations," says Mark Garrett, Borealis Chief Executive. "It is gratifying for us at Borealis to see that while the specific programmes and activities may vary, the ultimate goals are aligned: active and constructive participation in our respective communities. Because the Borealis Social Fund was established to give back to the communities in which we operate, this alignment is an excellent measure of success." Working with partners from the private and public sector, the Emirates Foundation has developed and implemented a range of programmes and special projects for young people aimed at promoting social inclusion, community engagement, leadership and empowerment. The Foundation was established in 2005 as an independent philanthropic organisation by the Government of the Emirate of Abu Dhabi. 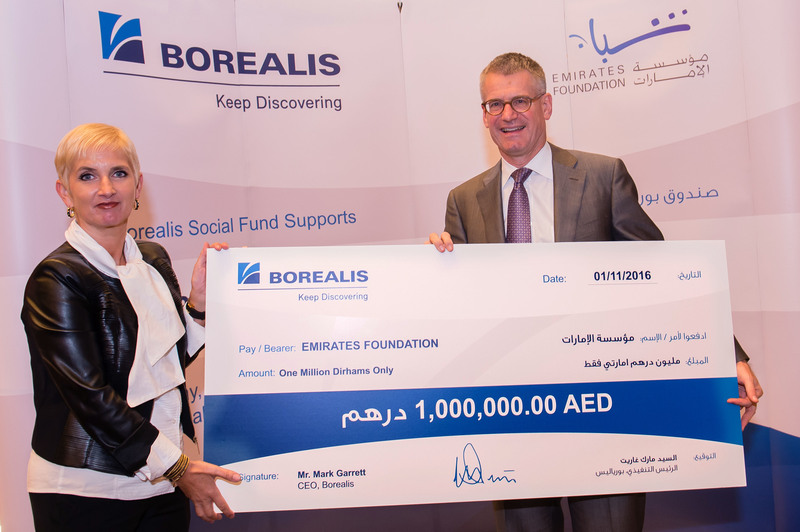 "Our ongoing partnership with Borealis and the support provided to us by the Borealis Social Fund helps drive the continued success of our youth-centred activities," explains Clare Woodcraft, CEO of the Emirates Foundation. "Through these collaborations, we continue harnessing the energy of our young generation in a productive way, for the good of the greater community." Established to promote better awareness of the special needs of the disabled and to encourage their active integration into society, the UAE Disabled Sports Federation provides support to athletes participating in a wide range of athletic disciplines. Federation athletes regularly compete in regional, national and international events. In September, they took part in the 2016 Paralympics in Rio de Janeiro, Brazil, where they won medals in the disciplines athletics, shooting, and power-lifting. "A major milestone was reached with the participation of our athletes at the 2016 Paralympics," says H.E. Mohammed M. Fadhel Al Hameli, Chairman of the UAE Disabled Sports Federation. "This achievement is not only attributed to us, but to Borealis who has been a supportive partner to the UAE Disabled Sports Federation, and this has helped making it possible for our UAE athletes to prove themselves on a world stage. We are indeed very proud of our athletes and their performance in Rio de Janeiro." Since 2002, the Emirates National Schools has offered world-class educational programmes from kindergarten through to grade 12 with the aim of preparing students for post-secondary studies. Approximately 9,200 students are enrolled in the 2016-2017 school year at one of five separate campuses sharing a common curriculum: Mohammed Bin Zayed City, Al Ain City, Abu Dhabi City, Sharjah and Ras Al-Khaimah. "We appreciate the regular and generous support provided by the Borealis Social Fund," says Dr Kenneth Vedra, Director General of the Emirates National Schools. "This year, the substantial means made available by Borealis have enabled us to invest in a specific technology used to deliver educational materials in Arabic to our schools." The Borouge 3 plant expansion will make Borouge the world's largest integrated polyolefins complex. Once fully ramped up in 2016, the additional 2.5 million tonnes of polyolefins capacity will yield a total Borouge capacity of 4.5 million tonnes, and a combined Borealis and Borouge capacity of 8 million tonnes.